In Tacoma, Washington, Sono Bello offers a range of the industry’s best body contouring treatments. Sono Bello is a name synonymous with luxury services—expect outstanding customer service and advanced tools at this clinic in Tacoma. Slim your thighs and tummy area with celebrity favorites like VelaShape, Venus Freeze, Vaser Liposelection, TriSculpt, and laser liposuction. These treatments are designed to show results in just a few sessions, with zero downtime. 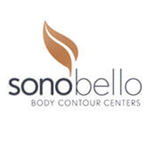 During your free consultation at Sono Bello Tacoma, you’ll meet with an experienced body contouring professional. Together, you’ll come up with a cosmetic plan that’s respectful of your budget and desires. Learn more about the treatment process, and ask any questions you may have—the goal of the consultation is to leave you feeling confident about your upcoming Sono Bello treatment. To learn more about body contouring services at Sono Bello Tacoma or to schedule a free consultation, contact our representatives today. The staff at Sono Bello Tacoma enjoy meeting patients from all over Washington, including University Place, Lakewood, Federal Way, Puyallup, Kent, Olympia, Auburn, Spanaway, and beyond. Sono Bello - Tacoma offers Complimentary Consultations.